Happy Tuesday! Do you have the post Cyber-Monday blues? Me neither. I am doing the vast majority of my Christmas shopping online this year, so it’s been fun getting the mail lately. Everyday is like Christmas! 😉 Luckily, my daughter hasn’t really caught on to the fact that a lot of the boxes in the mail contain presents for her, and it’s still pretty easy to pull the wool over her eyes. We’ll see how much longer that will last! 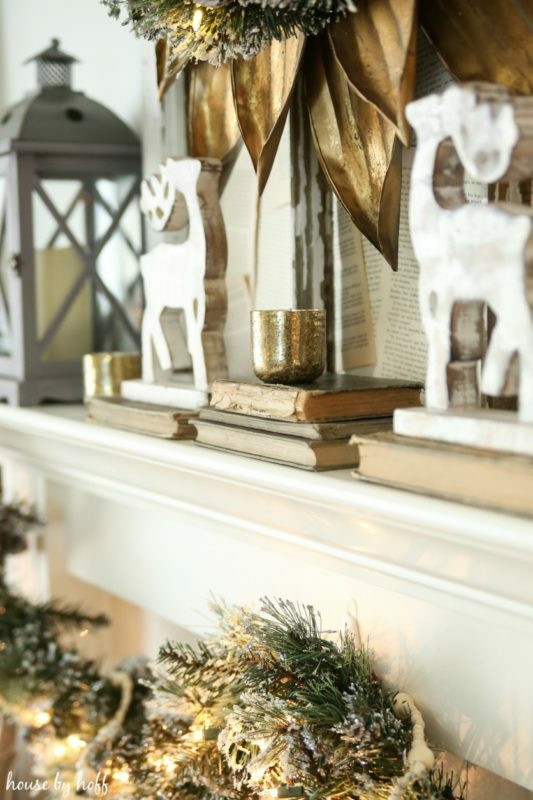 Today I’m sharing my Cozy and Neutral Holiday Mantel with you. I normally go with lots of pops of red during the holidays, but this year, I toned her down to a neutral color palette. 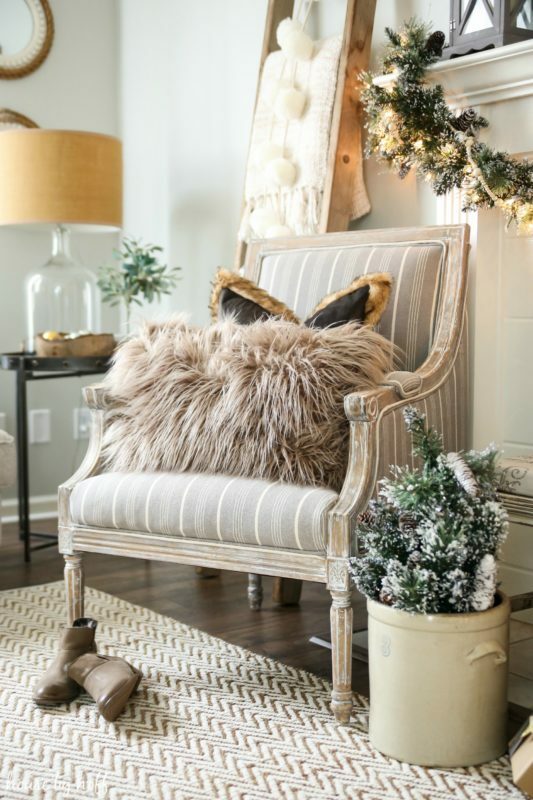 Neutral colors at Christmas sure doesn’t have to mean boring though. I found myself using lots of metallics, sparkle, and texture to make up for the lack of color. 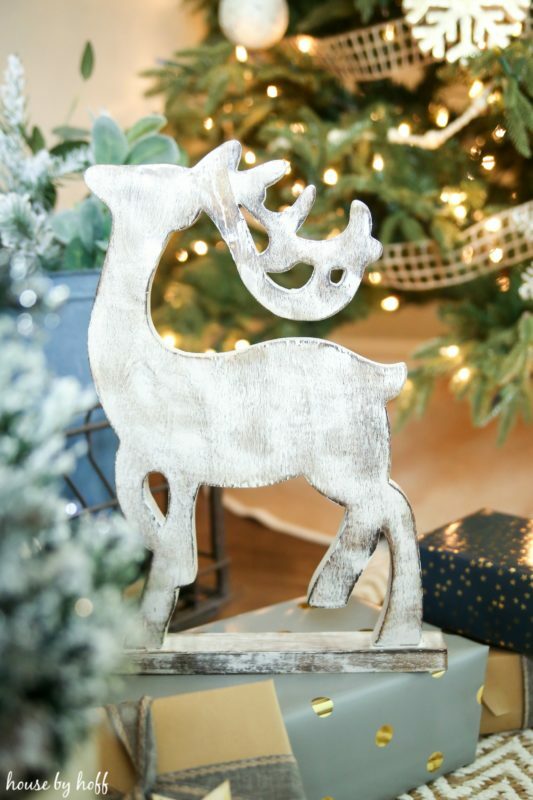 A good holiday mantel needs some reindeer and candles, can I get an amen? This is my third year in a row using this pretty, sparkly garland from Home Decorator’s on my mantel. It fits the bill year after year. I truly have no problem with red Christmas decor at all, but I am enjoying our neutral and cozy living room this holiday season. Thank you so much for checking out my holiday mantel today! 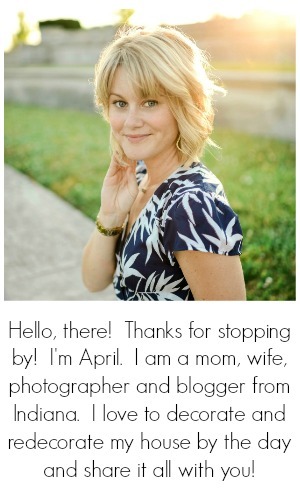 To get the look yourself, feel free to use the affiliate links in the carousal below. 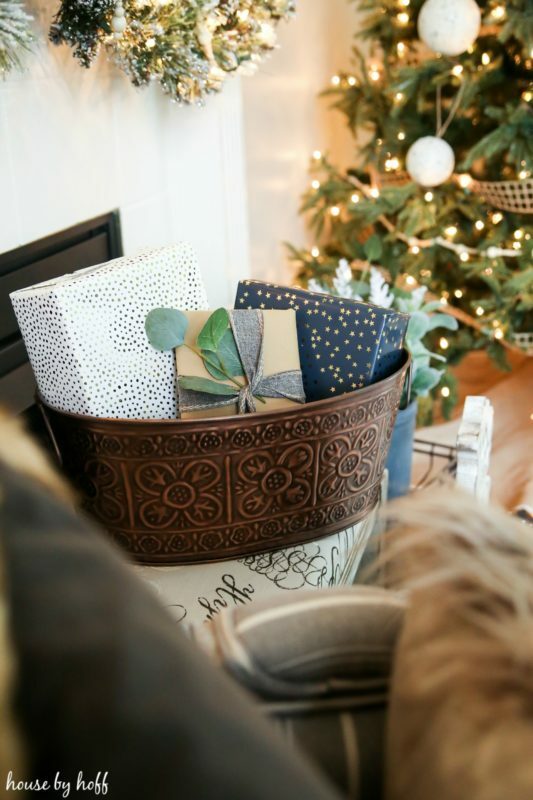 I’m taking part in a huge holiday mantel hop today hosted by Krista from The Happy Housie. You’ve got to check out all of the gorgeous mantels on the tour! 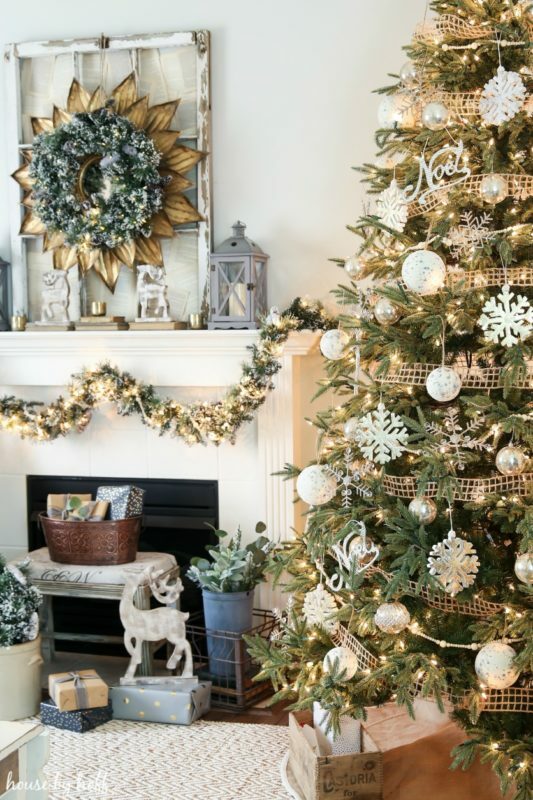 How do you secure the garland to your mantel? 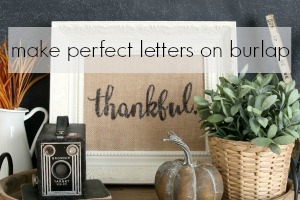 hey girl- love the mantel! so pretty! 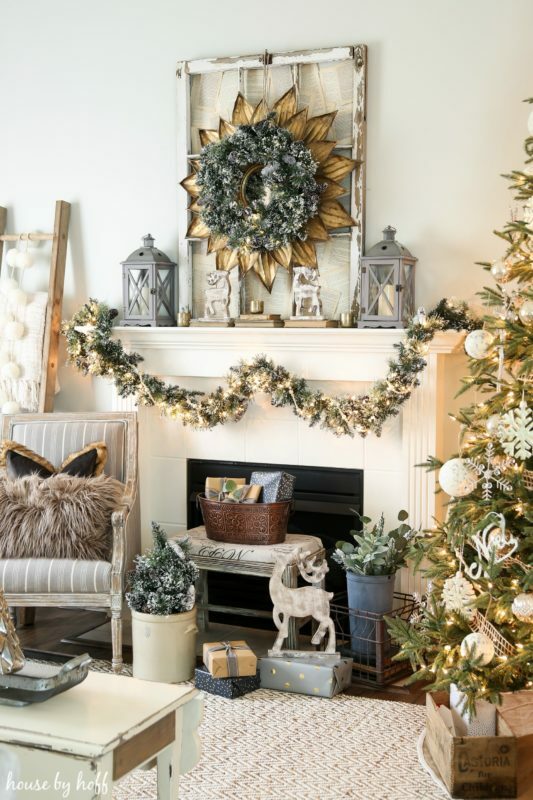 Love your neutral color scheme this year, everything looks so cozy! 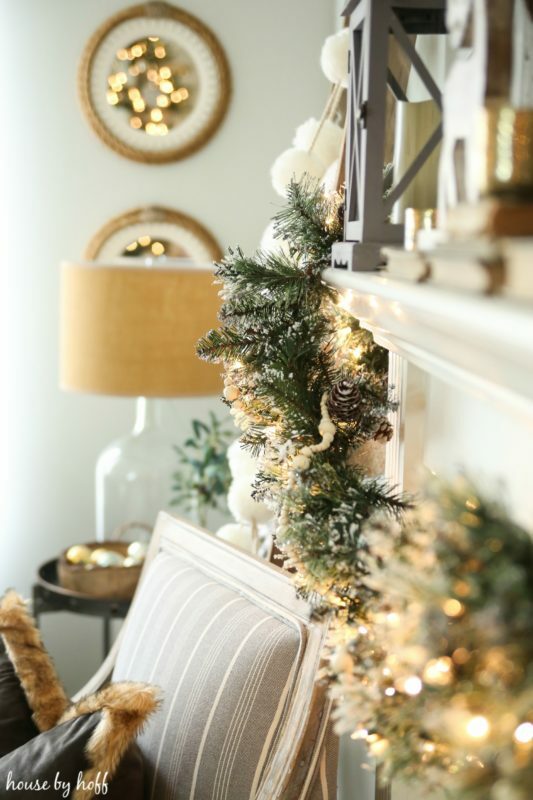 Gorgeous Christmas mantel April! 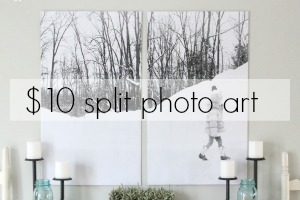 Love the neutral décor and I do most of my shopping online too, so much easier!!! Gosh girl, this is stunning and that wreath is just amazing! Love the wreath! Where’s it from?